Why do architects, designers, and builders choose Barn Light Electric over other companies? 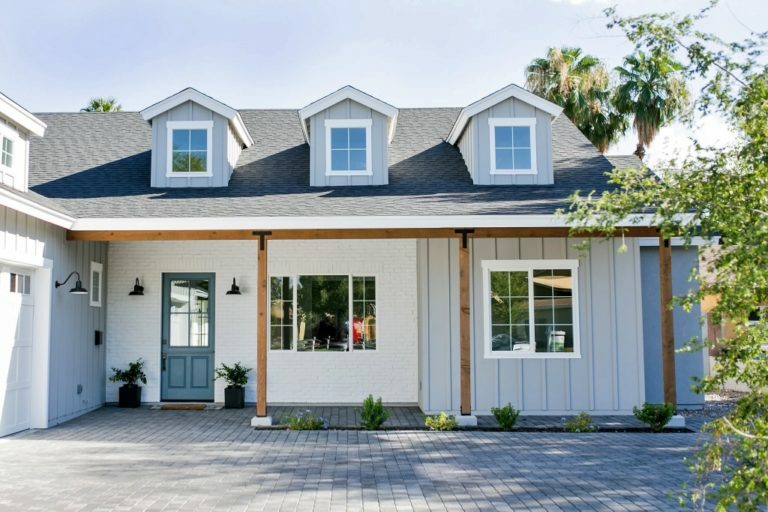 For Nathan Anderson, contractor and owner of Rebuild the Block in Phoenix, Arizona, the quality and customizing options bring him back again and again. 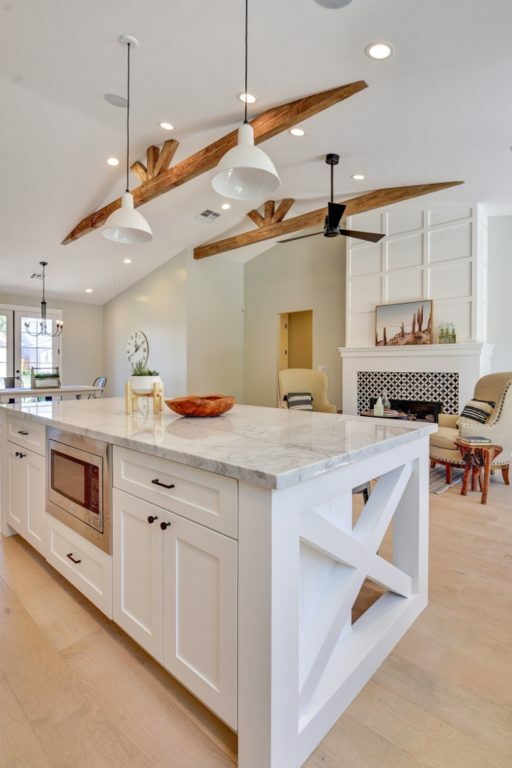 Nathan and his team build modern farmhouse-style homes in the Arcadia Lite neighborhood which is coveted for its proximity to downtown, the PHX airport, and plenty of great restaurants. We featured the beautiful kitchen above from Rebuild the Block back in January. 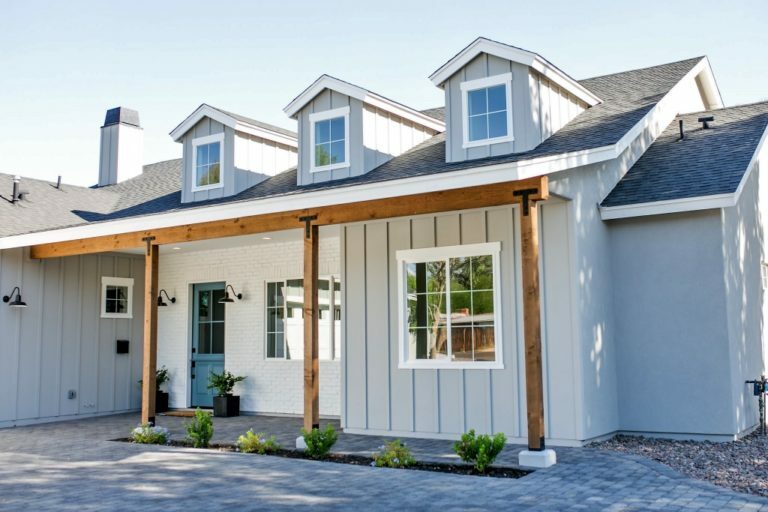 Today we’re exploring another farmhouse, this one inspired by midwest country-style ranch homes with wraparound porches and functional dormers. 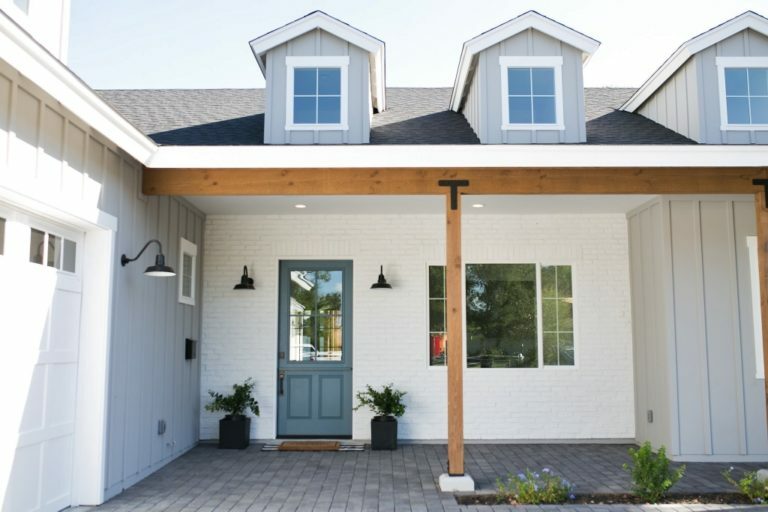 When the designers chose a white brick facade for the front porch, Nathan knew gooseneck barn lights would play a role. 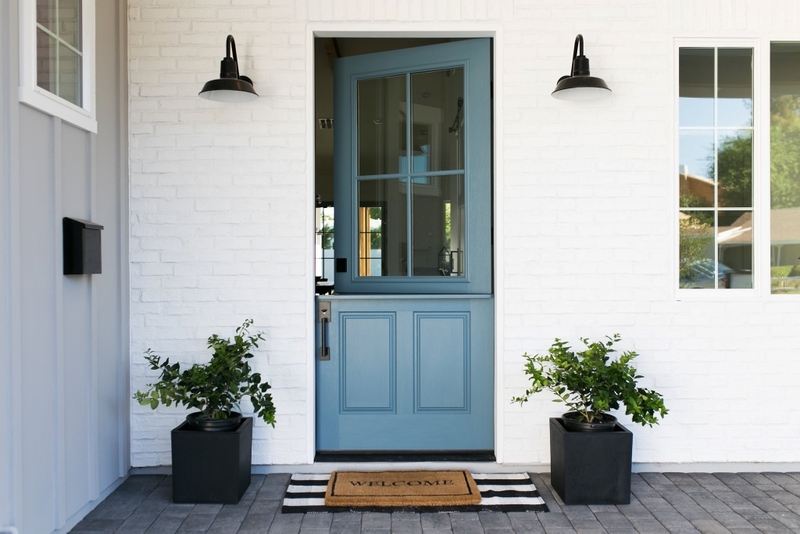 He chose the classic Original™ Warehouse Gooseneck Light to accent the porch and flank the front door. These handcrafted gooseneck lights are customized with 12″ shades, a Black finish, and G26 gooseneck arms. The lights pop beautifully against the custom white brick while the blue door and warmth of the stained beams and post details tie the entire space together. I’m an electrical distributor looking for 72 units.